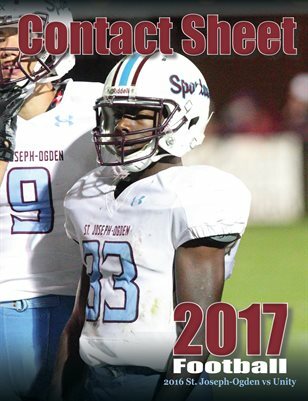 This issue of contact sheet is coverage from St. Joseph-Ogden's road game at Hicks Field against Unity. Unfortunately, the Rockets defeated the Spartans in their regular season match-up, 26-8. Inside is PhotoNews Media's photo coverage from the regular season game.